It's been a while since I bought a new outfit. I've been feeling extremely frustrated with my current style and not feeling like I know what it is. 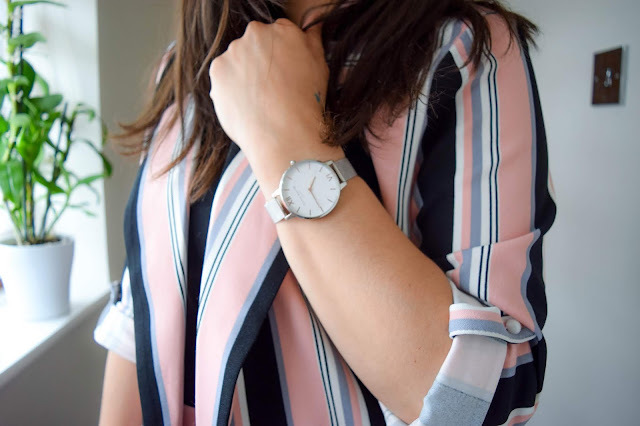 On top of that, I've been completely out of touch with trends and so on my last shopping trip I decided to try a couple of things I didn't think I'd like - on purpose to see if I could be inspired by something; anything. Lo and behold, I surprised myself and found a two piece that I fell in love with and makes me feel like a total girl boss! 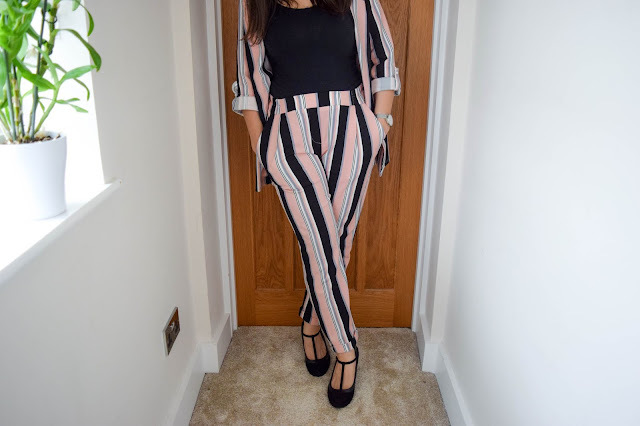 I never thought I would wear a two piece like this, but this is probably one of the best additions to my wardrobe for a long time. I think it's an absolute look together and so versatile that I could make a number of outfits with them as separate pieces too. It's a small investment worth making to update my wardrobe and help me find my style again. 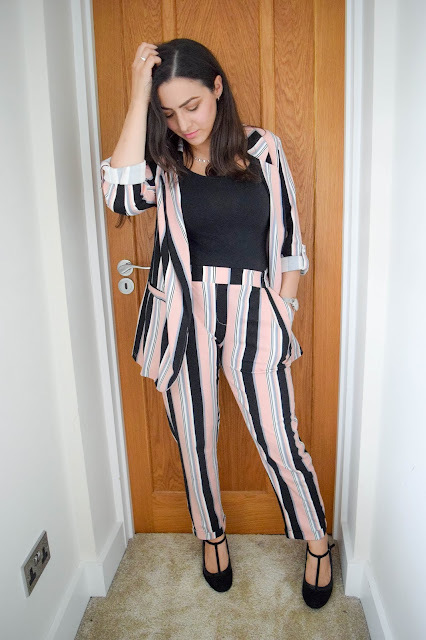 Who would of thought a pink stripey blazer and trouser coordinate would inspire me so much? Since buying this outfit, I've been truly inspired in different ways. 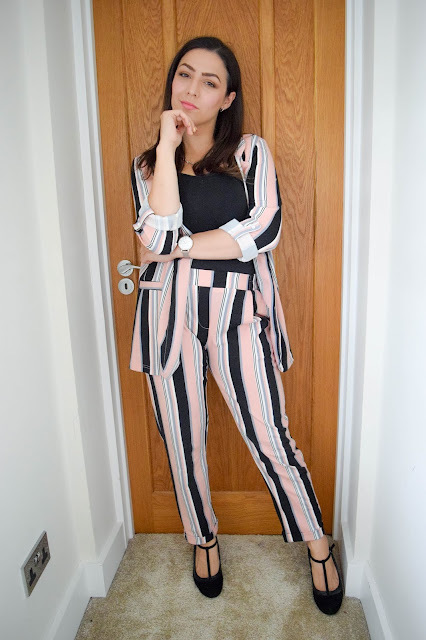 I've somewhat rediscovered my style, I actually feel like sharing looks on my blog again and I've found my confidence again. 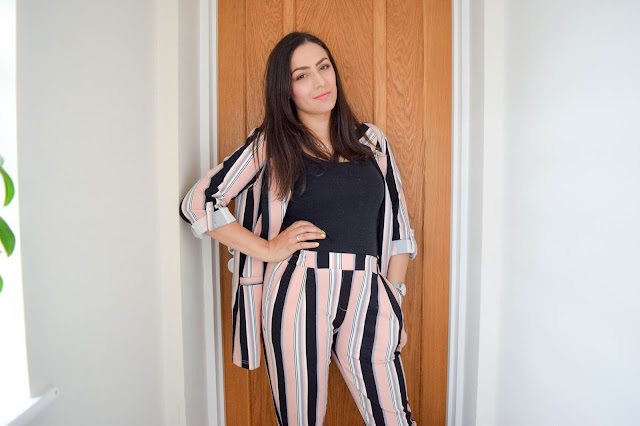 I think with all this I've opened myself up to trying new styles I'd never think about trying before and my passion for fashion has been reignited. 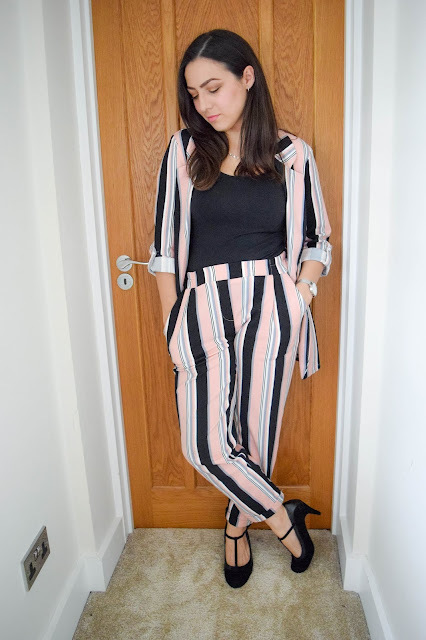 As for the two piece in itself, I adore the monochrome, grey and pink stripes and I love the slightly relaxed look but still fitting in all the right places. It's not the thickest material so it's great for all year round. I can actually imagine wearing this in the winter with long sleeves underneath and some ankle boots. And do you know what's the best thing about this two piece? It gives me total girl boss vibes and I love it. I haven't been posting a lot on here lately, but I'm hoping to spend some more time on my blog from now on; now that I'm inspired again and I'm building on my confidence. 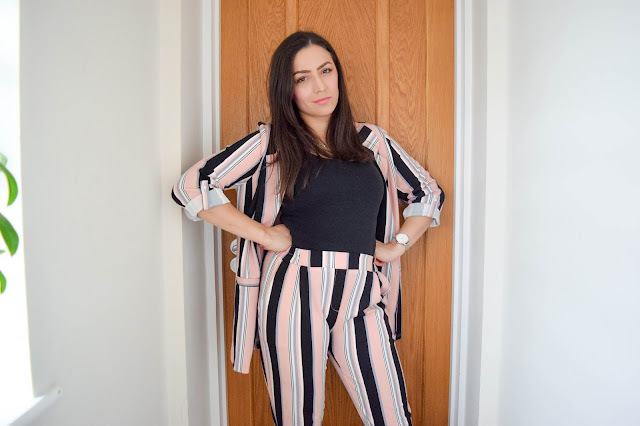 I really want to share more outfits and I've got a couple of house updates too to get up in the next few weeks. I just have to start making a little more effort with the blog and stop neglecting it. 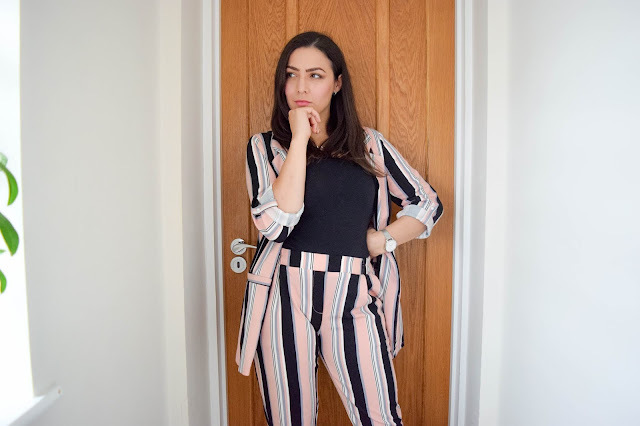 Can you believe I've been blogging for 8 years now? Weird right? 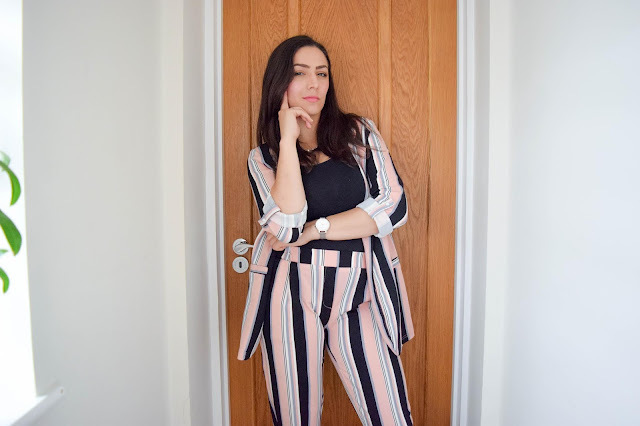 You are totally rocking that Girl Boss look! I love it!